Hodgson and Douglas is presently providing all Landscape Architectural services for the newly proposed LIV East project being developed in East Nashville. 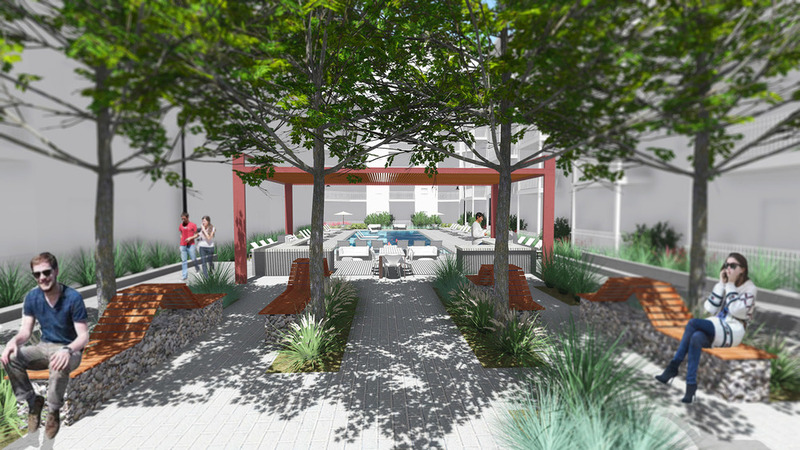 The project includes three amenity courtyards, including a pool courtyard and roof terrace over podium slab. 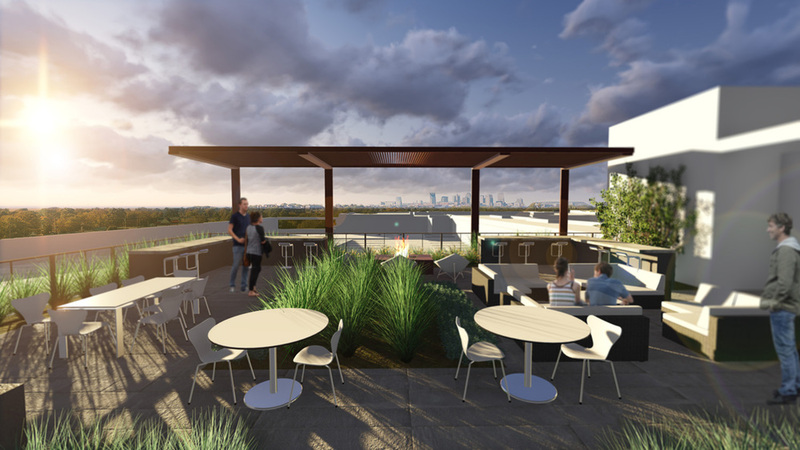 HD is presently in the Visioning stages of this project and produced the design and concept visualizations to the right.